Although many pundits disagree on the short-term prospects for digital assets, the push for adoption is a bandwagon that crypto investors, insiders, and leaders alike can easily hop onto. Hence why many were over the moon, so to speak, when Changpeng Zhao revealed that Binance Coin (BNB), an ERC20 token on Ethereum, could be used to purchase an aircraft. On Thursday, Aeron, a startup with aspirations of “saving people’s lives” through blockchain technologies, revealed that one of its ventures, Pilot Shop, had listed an aircraft for sale. Interestingly, while the plane, a well-kept Columbia 350 from 2007, was listed for 268,000 Euros, Pilot Shop revealed that it would accept Aeron tokens (ARN) and Binance Coin (BNB) in exchange for the hunk of metal. At the time of press, prospective buyers will need to fork over ~31,603 BNB or 446,666 ARN tokens to purchase the aircraft, which is currently based in Austria. Zhao, who once explained that he would “personally shill projects that integrate BNB into their ecosystem,” took to Twitter to relay the crypto-friendly development, issuing a short, but sweet message highlighting this interesting and unexpected case of adoption. The announcement comes just days after Tokyo-based Hinomaru Limousine, in collaboration with Remixpoint, reportedly released a plan to integrate Bitcoin, Bitcoin Cash, and Ethereum payments into its transportation services. Per Bloomberg’s insider sources, Hinomaru will likely be enabling crypto payments for limousine rides between Tokyo’s 23 wards and either Haneda or Narita, two of the region’s most popular airports. Hublot, a world-renowned Swiss watchmaking brand, also unveiled limited support for crypto payments, releasing the exclusive “BIG BANG P2P” watch, a Bitcoin-inspired timepiece created to celebrate the cryptocurrency’s 10th anniversary. So now, affluent crypto enthusiasts will be able to purchase artisanal timepieces, limousine rides, and a four-person aircraft through the decentralized digital asset ecosystem. And don’t forget Roy Niederhoffer’s New York mansion, which the hedge fund manager recently listed on the open market for a jaw-dropping $15.9 million, or the equivalent in BTC. 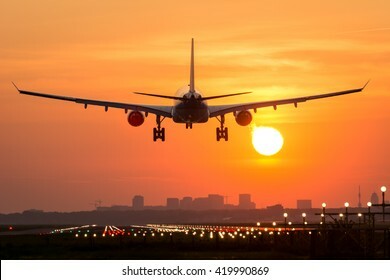 It is important to note that the aircraft’s unnamed owner isn’t alone in his or her’s move to accept BNB, as a quickly swelling number of outlets have unveiled that they will be supporting Binance’s native digital asset as a viable mode of payment and utility. Crypto.com, for example, recently shipped the first batch of its Monaco Visa cards to consumers in Singapore. The program, which was anticipated by over 100,000 crypto investors, allows users to purchase real-world items for Bitcoin, Ethereum, Litecoin, Monaco, and Binance Coin. Monaco, which also offers cashback rewards in crypto, travel benefits, free ATM withdrawals, and tap-to-pay functionality, somehow comes in at a staggering $0, which is likely a price point that has consumers clamoring. And ultimately, a price point that will only bolster the adoption of crypto assets and blockchain technologies. Other prominent platforms that accept or utilize BNB include PundiX, Kyber Network, Coinbates, Nexo, and, of course, Binance itself. Binance, releasing a message of excitement to accompany this adoption-accentuating list (seen above), noted that “new use cases for BNB are popping up every day.” This, interestingly, underscores the theme of this nascent industry’s continual steps towards maturation, even in spite of the crypto market’s dismal performance in 2018.